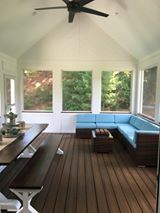 Fresh off the photoshoot: This Trex, Owens Corning, & James Hardie 3 Season Sun Room is today’s Wow Wednesday! Talk about a trifecta of beauty. 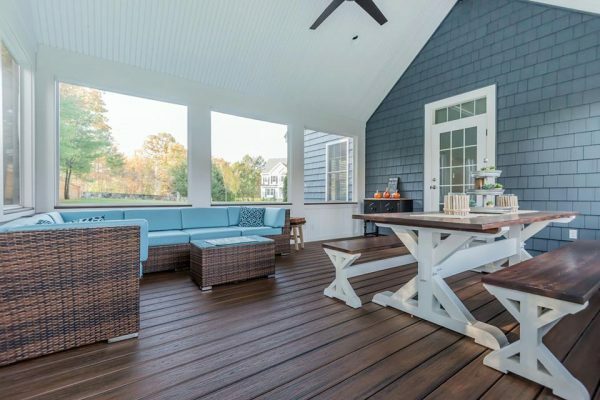 The beadboard ceilings, riser lights, & recessed lighting with fans make this project really POP. We had a ton of fun working together with these homeowners and creating this design. Hope you enjoyed this sneak peek!